Gold medal winner at the prestigious Great Taste Awards - the fine food 'Oscars' - this is 150g of heaven on earth! 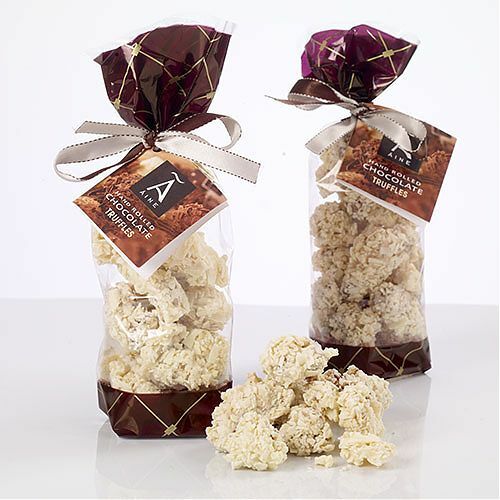 Lucious hand made white chocolate truffles with a dash of orange oil and hand rolled in white chocolate flakes. Pure gold.